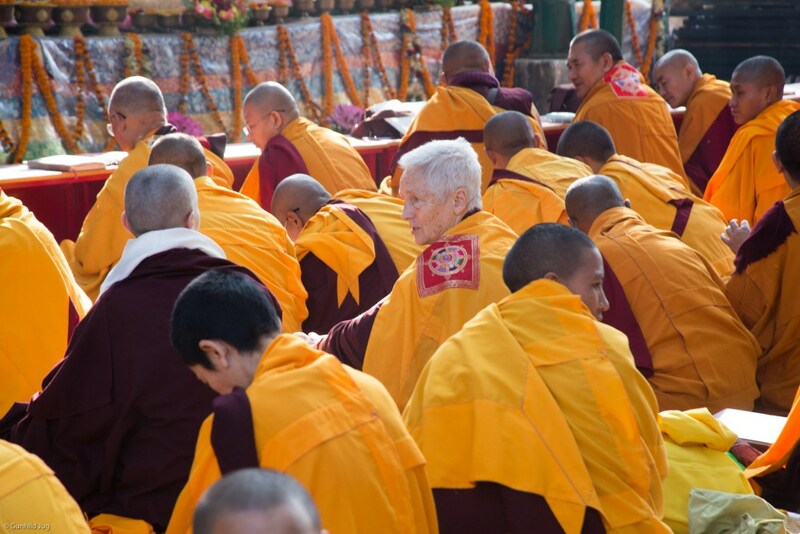 At times when the world is being shaken by an increasing number of humanitarian crisis and natural disasters, collective wishes for peace and harmony and the focus on compassion and wisdom, the inherent qualities of every being, is becoming even more important. 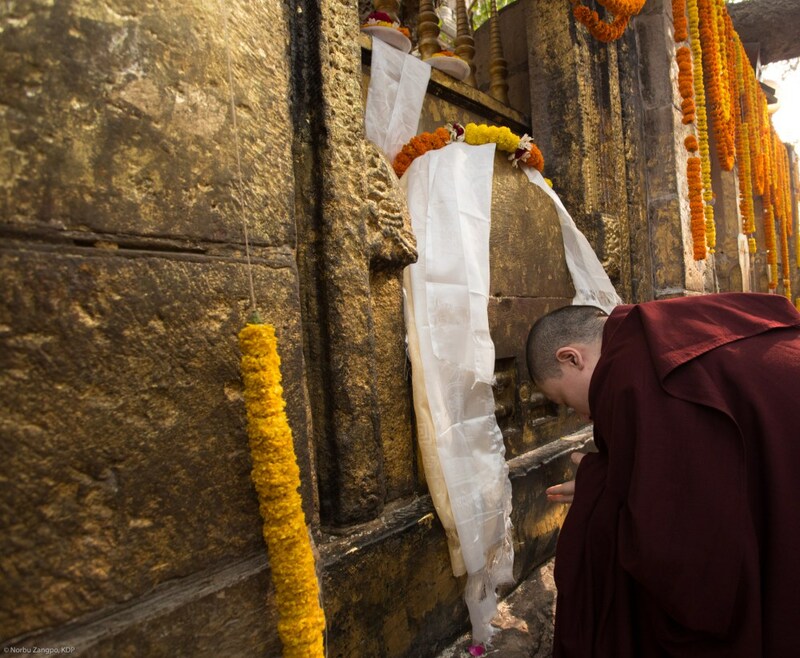 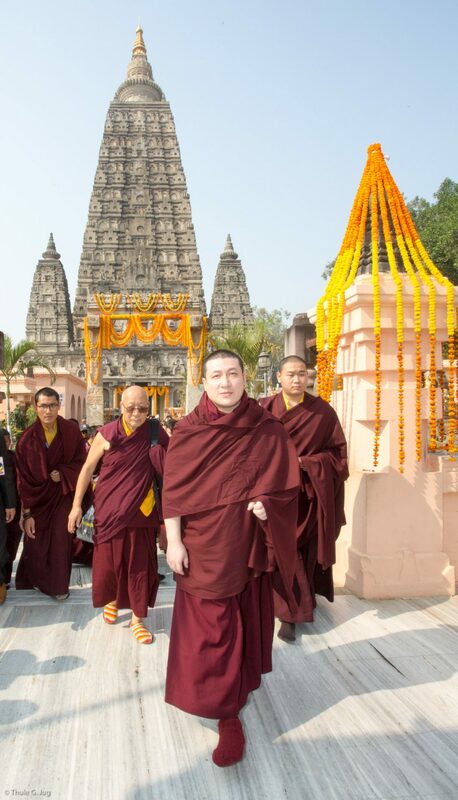 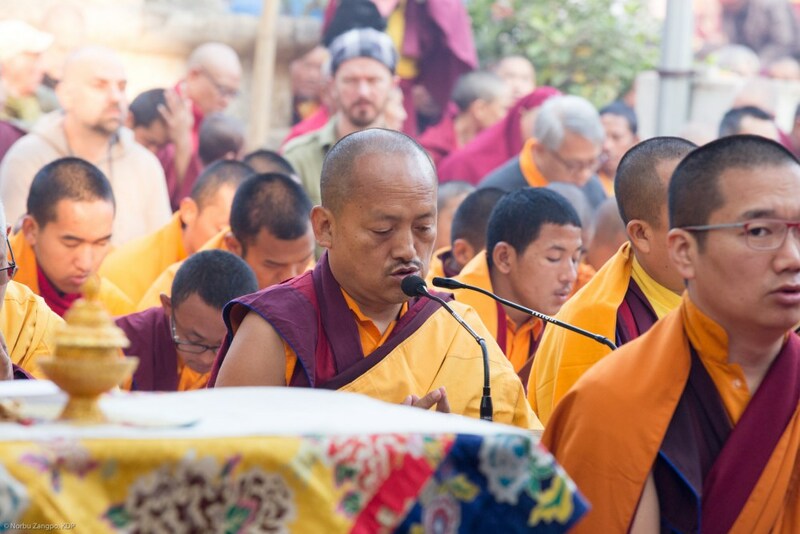 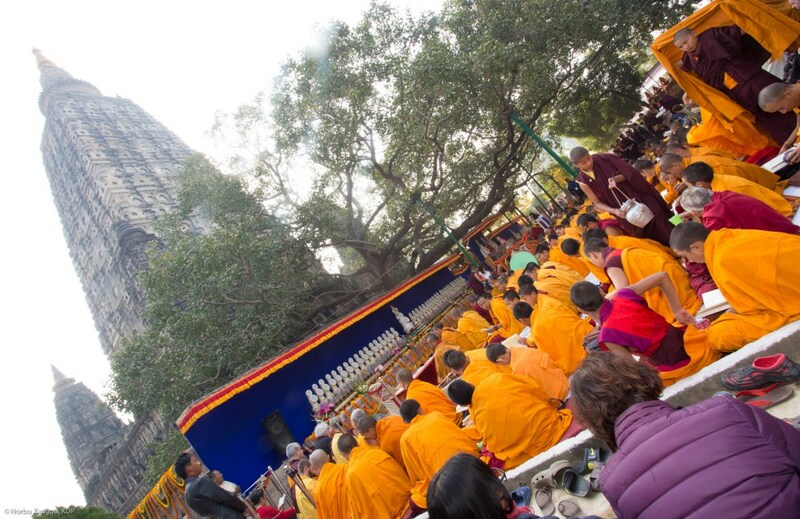 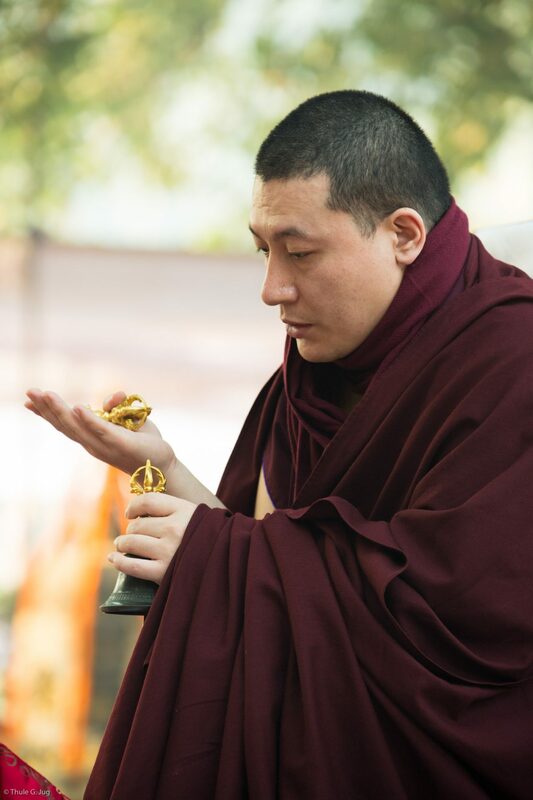 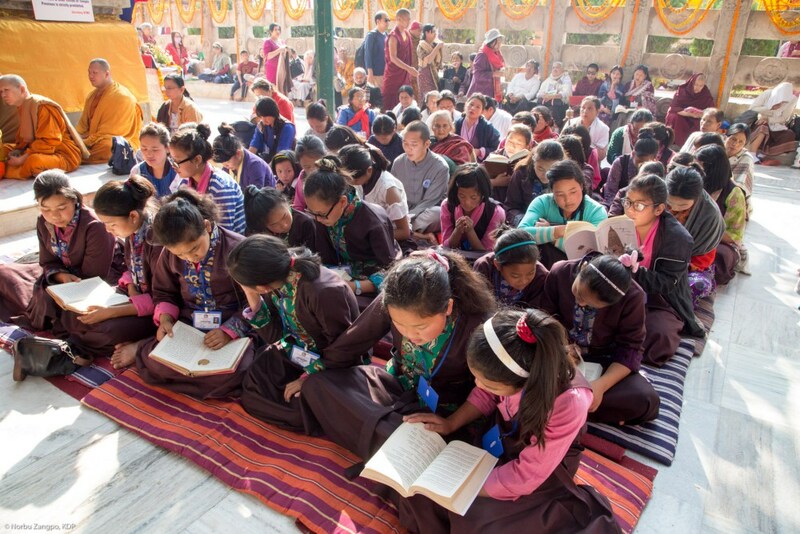 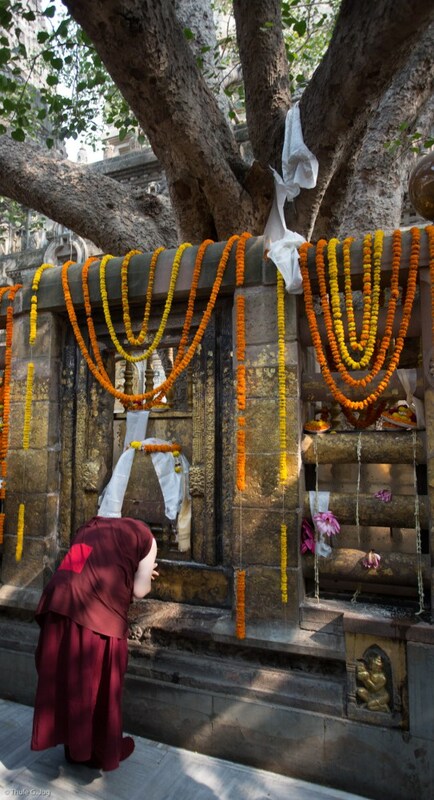 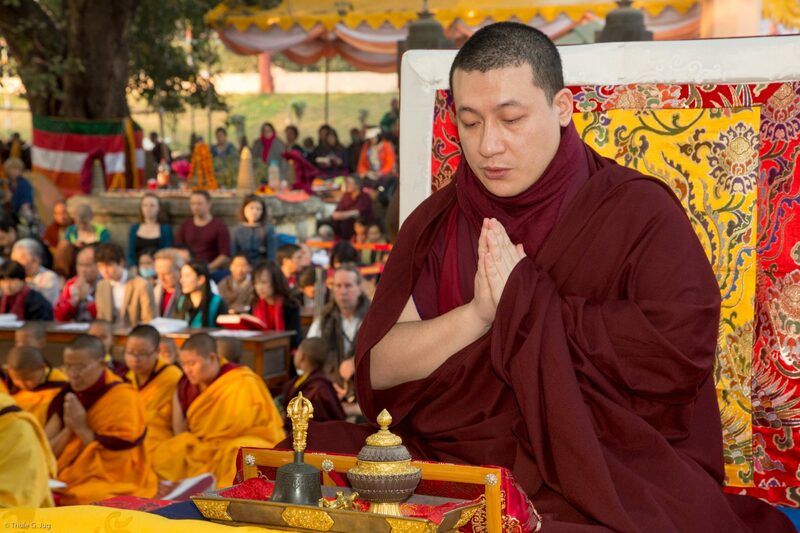 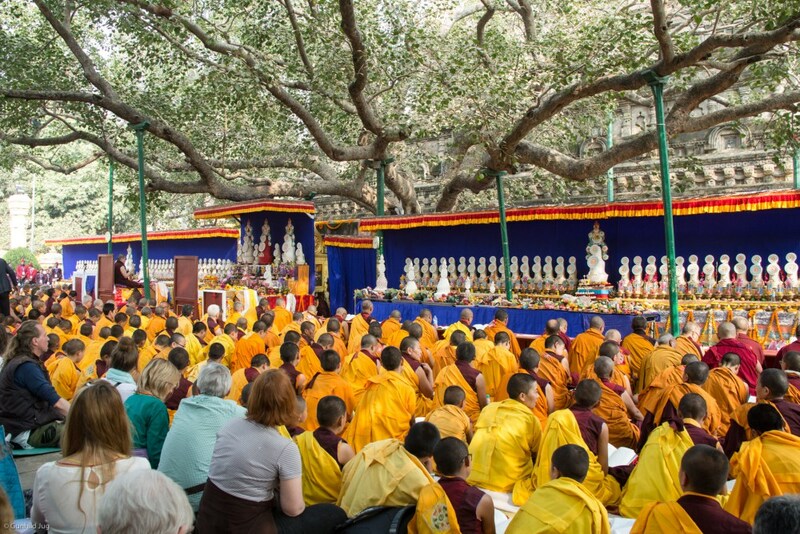 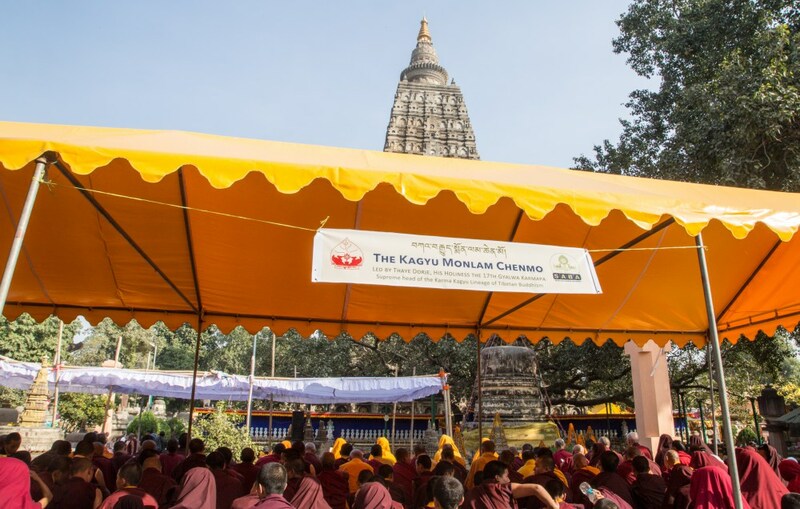 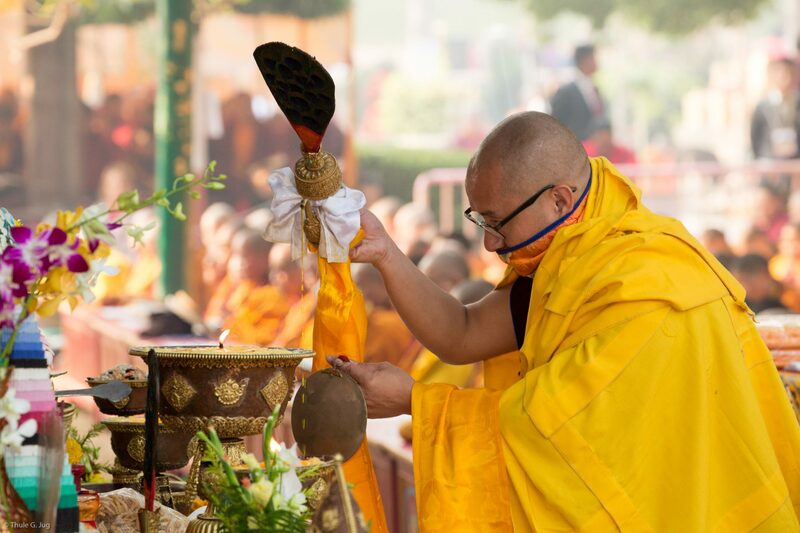 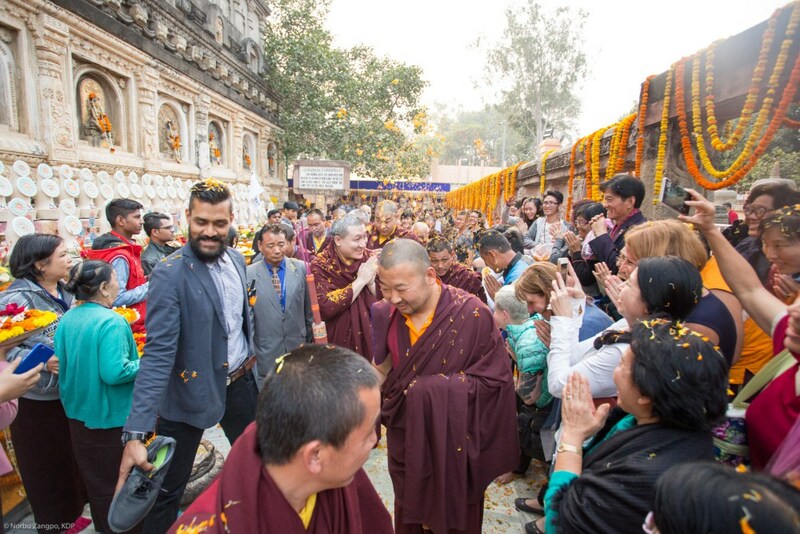 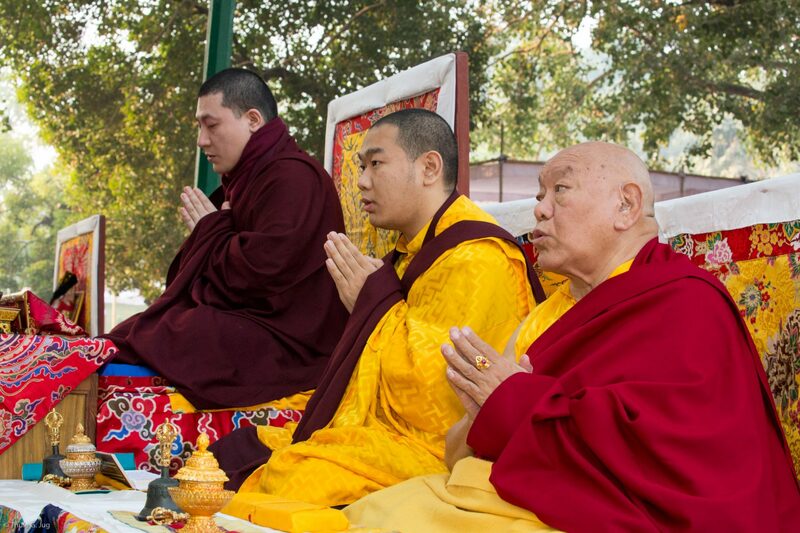 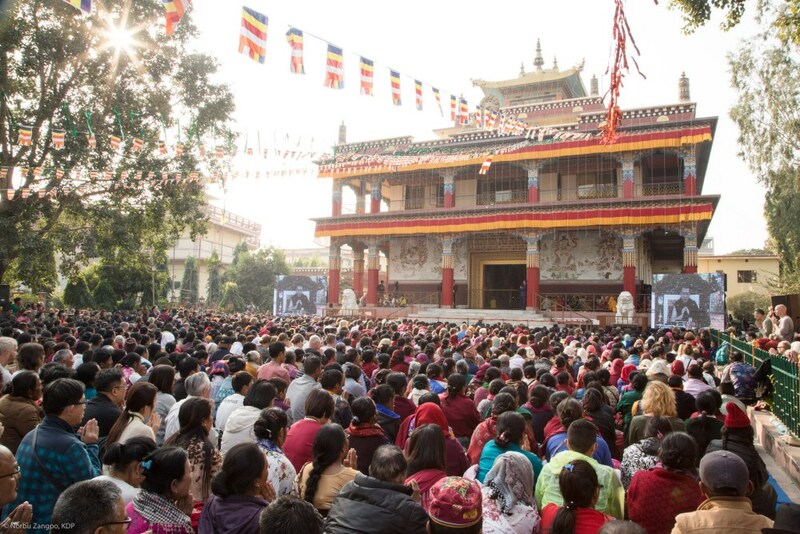 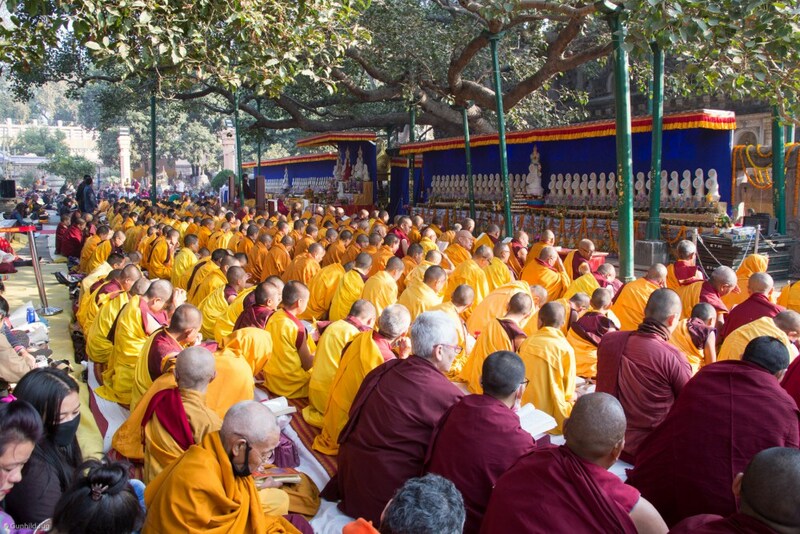 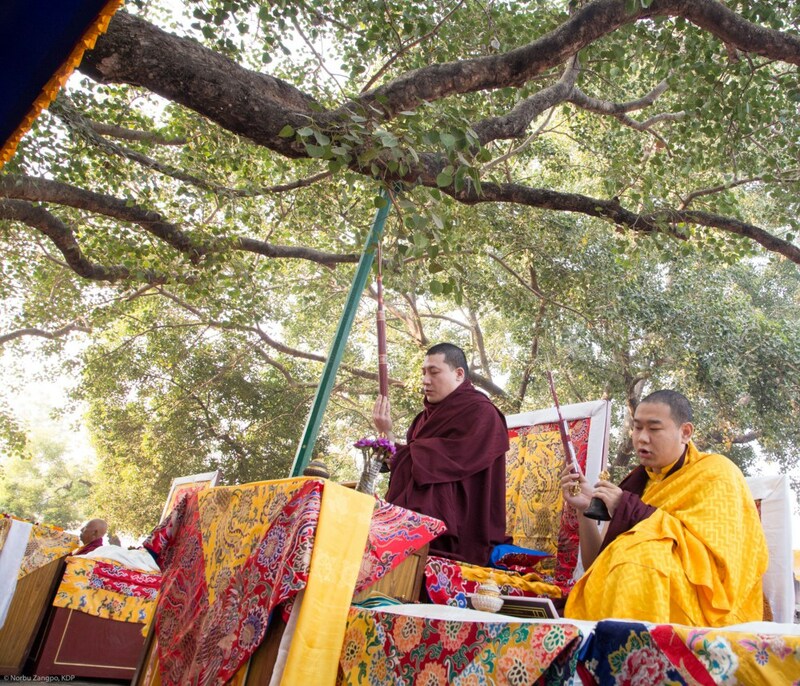 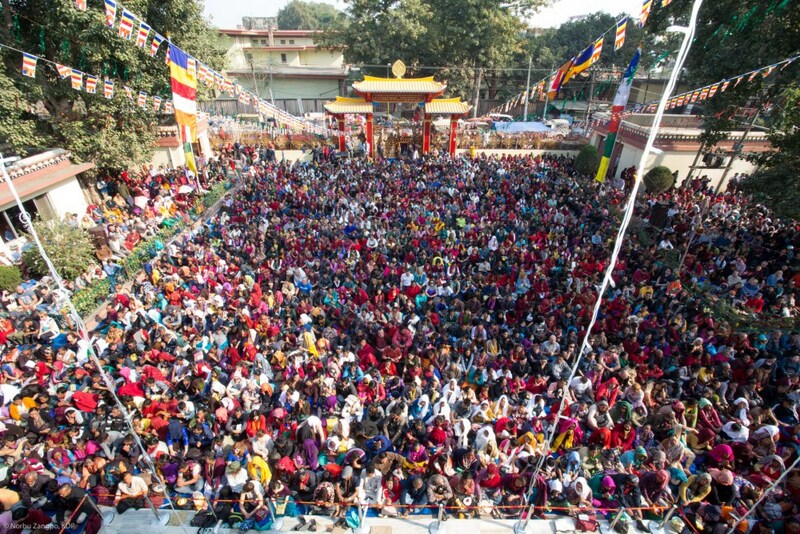 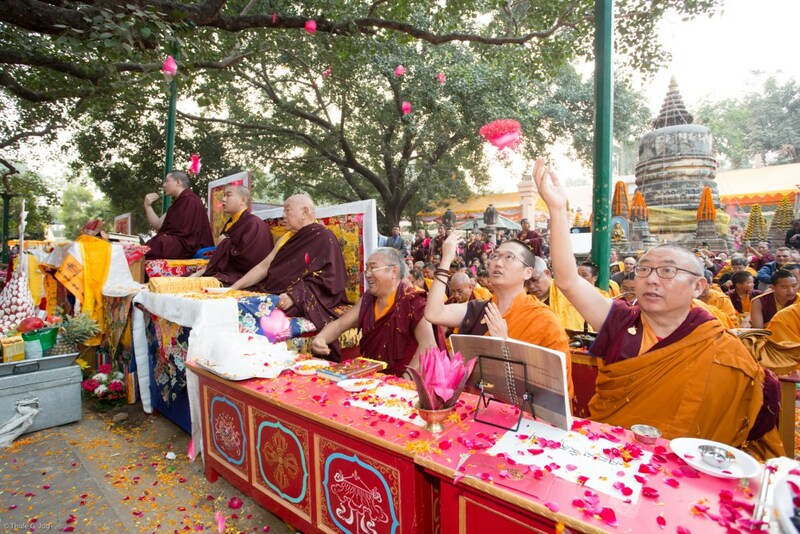 Bodhgaya – Following the invitation of Thaye Dorje, His Holiness the 17th Gyalwa Karmapa, tens of thousands of monks, nuns and friends from all over the world joined the largest Kagyu Monlam gathering since its inception in 1996. 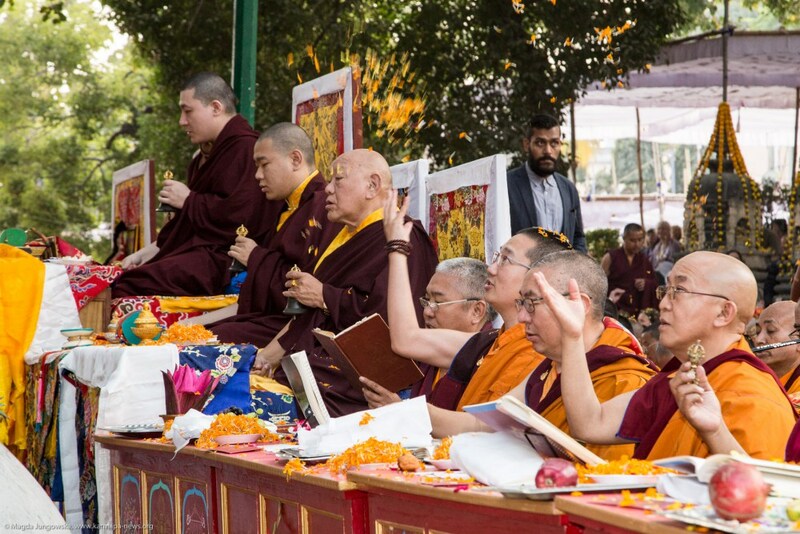 The Kagyu Monlam 2017 stood under the great banner to unite and strengthen the bonds of the centuries-old Karma Kagyu Lineage, a Dharma lineage that has its firm roots in India. 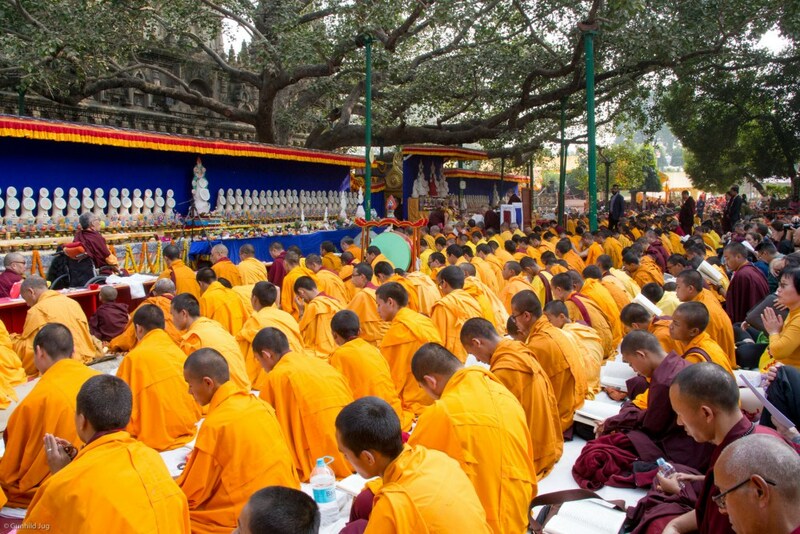 Daily aspiration prayers for the benefit of all sentient beings were held from 14th until 20nd of December under the great Bodhi Tree, the seat of enlightenment of the historical Buddha Shakyamuni. 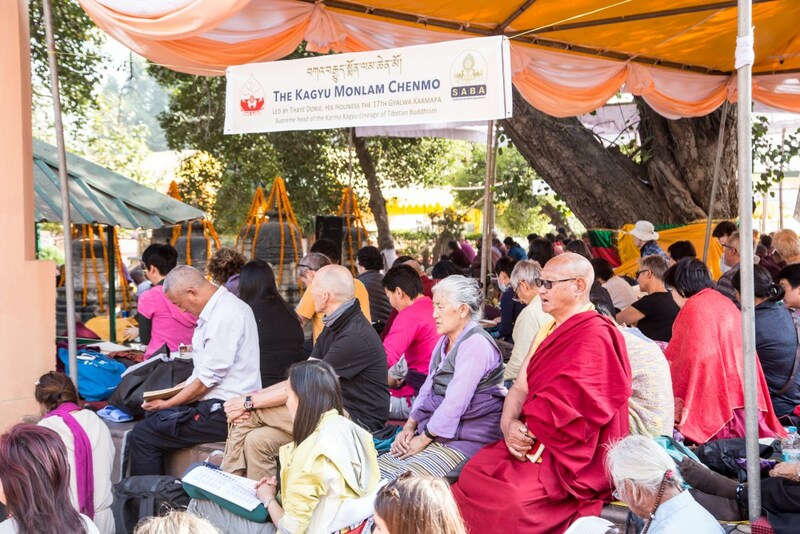 The Monlam gathering was continued by a two-day program at the Karma Temple. 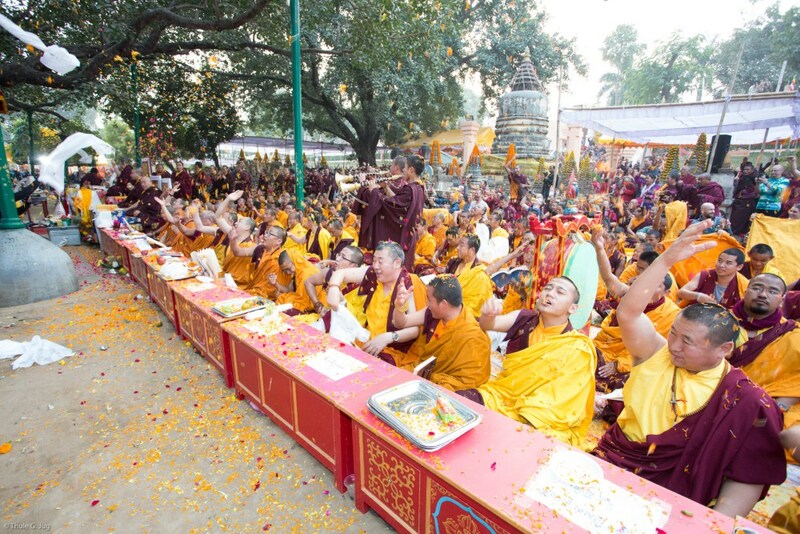 The daily schedule started at 7 am and continued until 5 pm. 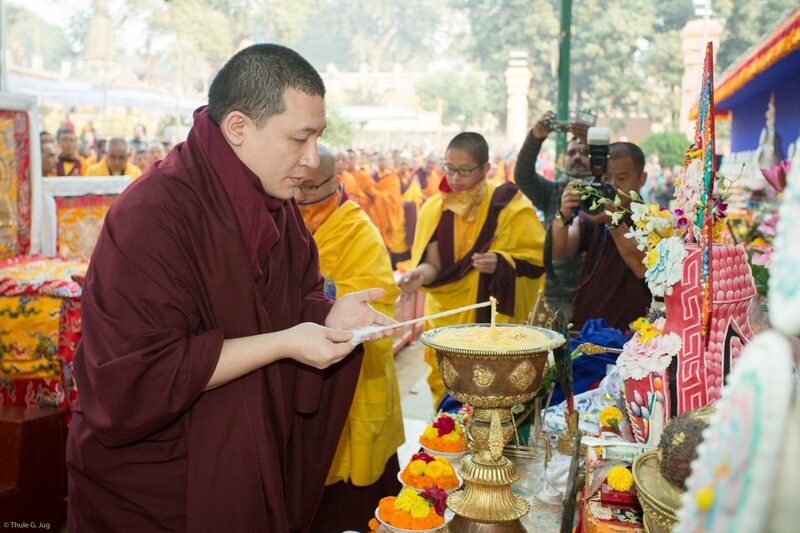 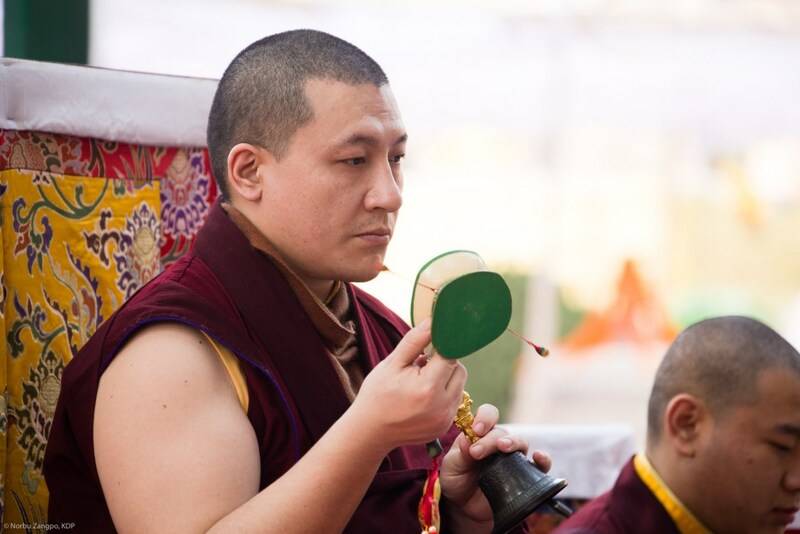 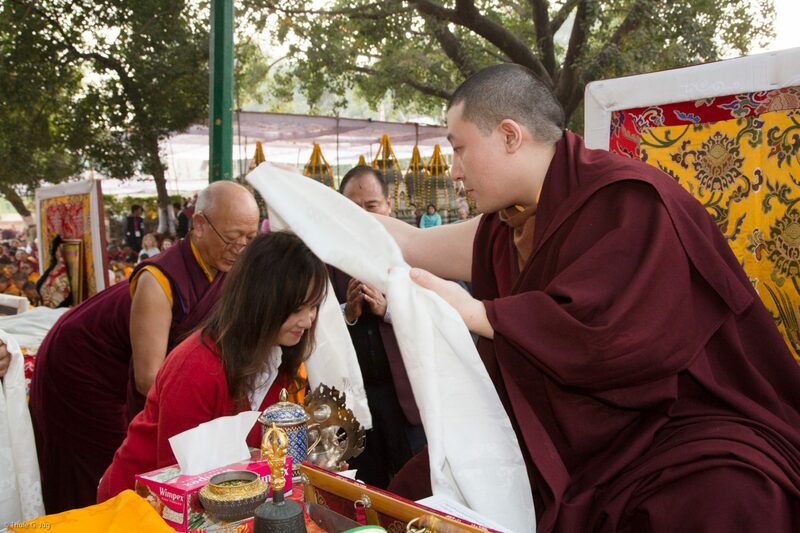 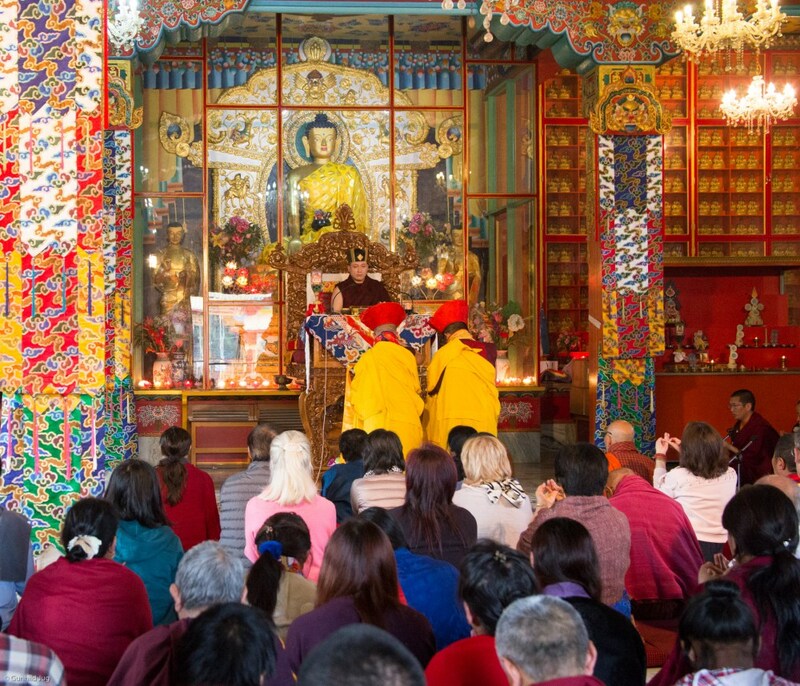 Dec 22: Special Long-Life Mandala Offering to Karmapa by all Rinpoches, representatives of monasteries, worldwide Karma Kagyu lay centers, and related associations at Karma Temple.